^ "Turks and Caicos Islands –". Nationalanthems.info. May 2013. Retrieved 2017-03-22. ^ a b c "Census Figures from Turks and Caicos Strategic Planning and Policy Department Website". Sppdtci.com. Retrieved 2017-03-22. ^ "International Cooperation and Development - International Cooperation and Development - European Commission". Archived from the original on 28 September 2008. Retrieved 2008-12-11. ^ Unknown. 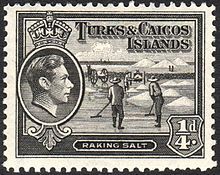 "Turks and Caicos – History". Geographia.com. Retrieved 2017-03-22. ^ "Turks and Caicos". 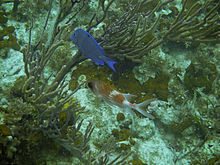 Turksandcaicostourism.com. 2013-01-24. Retrieved 2017-03-22. 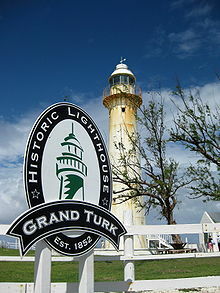 ^ "Grand Turk, Turks and Caicos Islands Travel Weather Averages". Weatherbase. Retrieved 2017-03-22. ^ "Internet Archive Wayback Machine". Archived from the original on 6 May 2013. Retrieved 2017-03-22. ^ "Internet Archive Wayback Machine". Archived from the original on 16 October 2015. Retrieved 2017-03-22. ^ "United Nations Statistics Division – Demographic and Social Statistics". Unstats.un.org. Retrieved 2017-03-22. ^ "Turks and Caicos Creole English". Ethnologue. Retrieved 2017-03-22. ^ "Turks and Caicos Islands". Ethnologue. Retrieved 2017-03-22. ^ Name (2015-12-02). "The Food and Cuisine of Turks and Caicos". Thesandstc.com. Retrieved 2017-03-22. 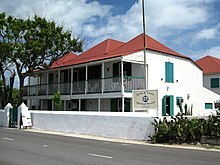 ^ "Cuisine of the Turks and Caicos Islands". Archived from the original on 16 July 2011. Retrieved 2011-07-14. 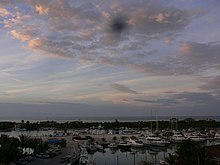 ^ "Interesting Facts about the Turks and Caicos Islands". Archived from the original on 5 April 2016. Retrieved 2016-09-14. ^ "Grace Bay Club, a Turks and Caicos resort and Caribbean spa". Gracebayresorts.com. Retrieved 2017-03-22. ^ "Turks & Caicos luxury resort, The Somerset on Grace Bay". Thesomerset.com. Retrieved 2017-03-22. ^ "Turks and Caicos Resort – Seven Stars Grace Bay Hotel". Sevenstarsgracebay.com. Retrieved 2017-03-22. ^ "Practical Information (Know Before You Go)". Archived from the original on 12 February 2015. Retrieved 2015-06-11. ^ "Government – Turks and Caicos Information – TCI Mall". Tcimall.tc. Retrieved 2017-03-22. ^ "Times of the Islands". Archived from the original on 5 December 2011. Retrieved 2011-11-25.